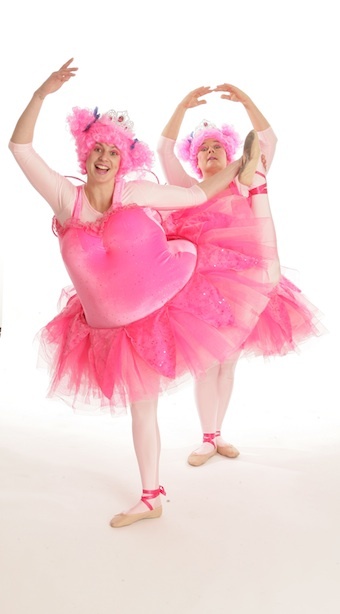 Having been sacked from sitting at the top of the tree for eating too many Christmas treats Angie Pavlova and Darcy Christmas are spreading their love of Christmas and dancing throughout the land. Lucky, good boys and girls may even receive Christmas wishes. This comic pair will warm the cockles of even the hardest-hearted Scrooge! 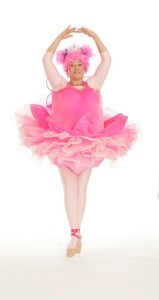 Magical and very silly walkabout, children are fascinated and adults laugh but everybody dances! With a soundtrack of Christmas classics they will bring warmth and atmosphere but most of all dancing fever everywhere they go.